Romeo and Juliet and Othello research papers compare the similarities between the two classic tragedies. In Romeo and Juliet we have a play that is probably to be dated at 1595 and which was the second of Shakespeare’s tragedies, Titus Andronicus being the first. The probable date for Othello is 1604 and it is a different type of tragedy than is Romeo and Juliet, different in plot, of course, but more importantly, also different thematically and different in characterization. The later play is the product of a Shakespeare who had become more artistically mature, one able to take into account a larger, more complex, and more spiritually important set of issues than the author of the earlier play had been capable of handling. 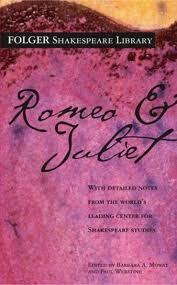 Norman Holland has said, “People say about Romeo and Juliet that it is a tragedy of young love, and so—in a way—it is”. He then goes on to caveat this statement by saying, “We should keep in mind, though, that there are many different kinds of love in Romeo and Juliet”. Othello is also about love, but it is a more inclusive look at love, one that takes into account such adult motifs as jealousy. It is also about malevolence, manipulation, insanity, ambition, greed, and racism. While both plays are tragedies and have terrible outcomes, and while Romeo and Juliet has plenty of killing in it, Othello is darker in tone, and comes closer to being, in Aristotle’s terms, “an imitation…of incidents arousing pity and fear”. Of the two Othello is the greater play in that it has a greater emotional impact on the viewer. Romeo and Juliet is immensely sad and poignant and so is Othello, but Othello has a larger psychological and moral range. In this paper we will try to show why this is so. Paper Masters writes custom research papers on Romeo and Juliet and Othello and compare the similarities between the two classic tragedies.